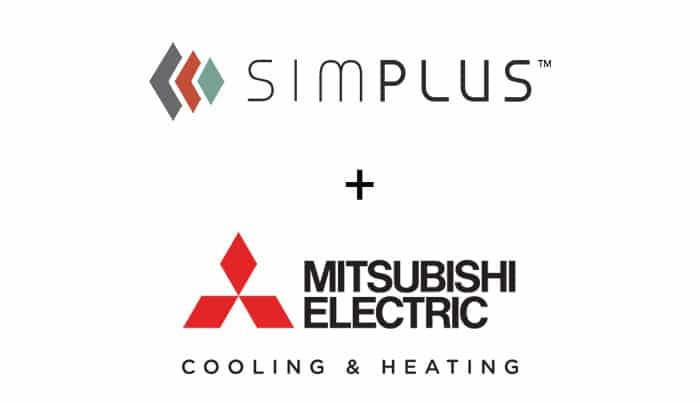 Mitsubishi Electric’s Cooling & Heating division provides personalized comfort for homes and individuals while also conserving energy and promoting sustainability with its products. But Mitsubishi wanted to do better with its sales cycle and tracking activities across systems. The company asked Simplus to help streamline its customer lifecycle and improve quoting. We delivered. 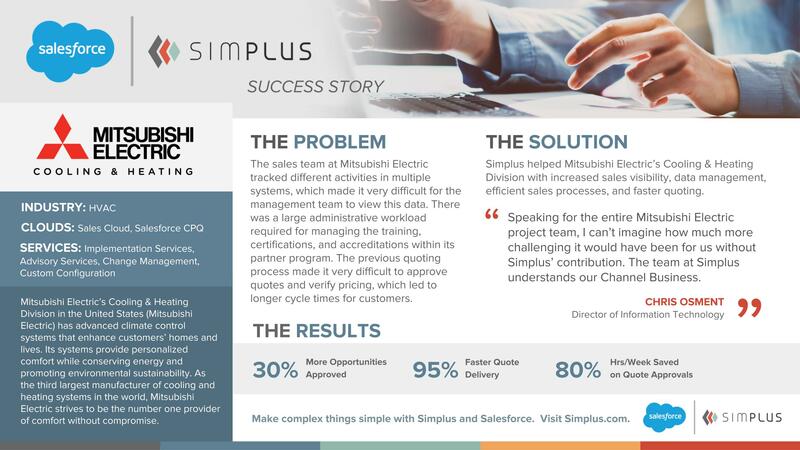 Simplus added a custom solution with Sales Cloud and Salesforce CPQ that brought increased sales visibility, faster quoting, and more efficient sales data management to Mitsubishi. This led to 80% hours per week saved on quote approvals, 95% faster quote delivery, and 30% more opportunities approved — a definite win for Mitsubishi and its customers.